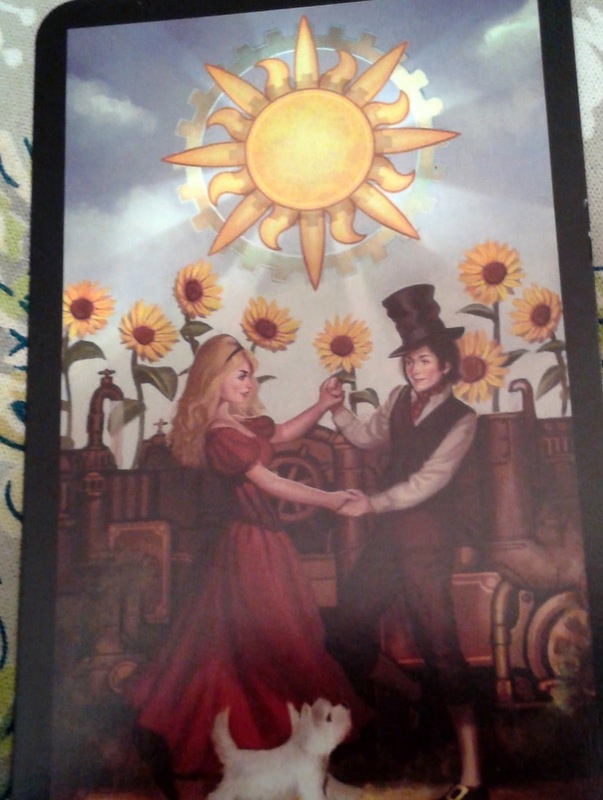 We have a major arcana card again this week, and it's all sunshine and sunflowers. It reminds me of a line from a Trooper song "…and the sun is shining, in this rainy city." Don't let the weather fool you, this week will bring some inner peace and calm despite any exterior influences. You are ultimately in charge of your own happiness, and it's okay to feel good about your achievements, especially this week. It's a good time to be thankful for what you have and share it with others. Hold someone's hand. They might need it more than you think.